We are thrilled to have Mai-Phuong Bui join our community as one of the two 2017/2018 AIGA DC Design Continuum Fund Scholarship] recipients. 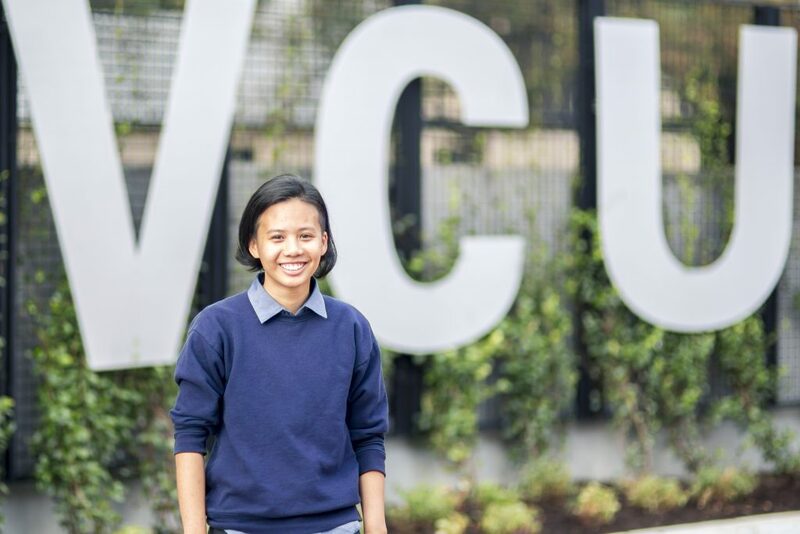 Mai-Phuong is a junior pursing a Bachelor of Fine Arts with a major in Graphic Design at Virginia Commonwealth University (VCU). They want to use design as an opportunity to teach, share, and learn about the stories of people of color and trans youth. Congratulations on being a recipient for the Design Continuum Fund! How does it feel? I’m very proud! I’m glad that I’m one of the recipients and from AIGA DC nonetheless. I actually never had any education on design or art before VCU. 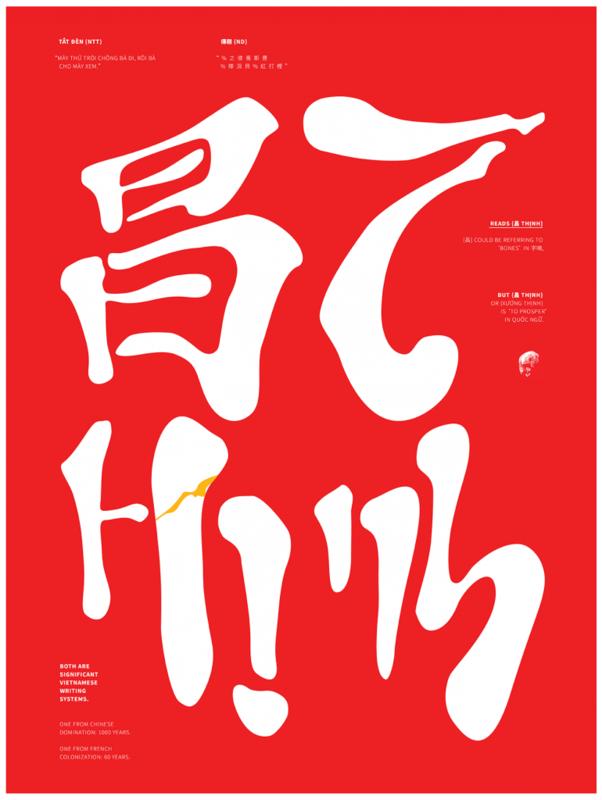 AIGA is an organization mentioned throughout when the topic is graphic design. It’s a high honor for me to receive this award. What made you want to become a designer? You mentioned that you didn’t have any former training or interest before school? It’s more of a lucky choice. When I first moved to America, I was aiming for Communication Arts at VCU which is more illustration and animation rather than graphic design. But I remember in math class, one of the general education classes I had to take, a senior sitting next to me overheard me talking about the portfolio process for becoming an official VCU student. I was planning to go to Communication Arts and he kinda talked me out of it by talking about the incredible graphic design program. He said the program teaches you how to problem solve instead of overwhelming you with skills. So I had a little crisis at first. But within a week, I swapped my decision to graphic design. Now that I’m in the program I’m very happy with my decision to do design instead of illustration. Graphic Design gives you the ability to communicate with people of different backgrounds and tell stories that aren’t universal like my own. What inspires your work? Do you plan on sticking with print? I’m very interested in installation and space sensitive pieces. I haven’t had a chance to explore that a lot due to the flow of VCU classes. But next year I’ll focus on more web based design and installations. As I said, I didn’t have a lot of training in design before VCU so I’m all over the place with what I do right now. I’m trying things out. How does your current work relate to outside of VCU? Do you have any side projects or clubs that help your interest in design? I’m not apart of any clubs specifically for design. I actually travel a lot, so I didn’t have an opportunity to stick with any design groups within VCU. Other than that, I’m focusing on personal projects, publications, and zines. You mentioned you travel a lot. Did you go anywhere this summer? In the beginning of the summer, I went to Vietnam for a project I’m working on. I couldn’t stay for a long time, but I got what I needed to proceed. Then I had to go back to the US to visit my family then back to VCU. There was a lot of bouncing around. You’re a junior at the moment. What do you see coming up in your senior year or after school? Will it include a social impact component? I’m actually considering teaming up with some fellow Asian designers in my department. We are thinking of starting a studio, maybe in Richmond. We want to have a studio made by Asian Americans for Asian American need. But also it will be a safe space for people of color and queer bodies that nurtures artistic values. Richmond is a considerably safe space and I think people are great allies here. But having another safe space doesn’t hurt. Also I want to become a teacher in the future, maybe teaching graphic design in Vietnam. I think the community there could benefit from learning post-modernism design. We focus so much on commercial design and focus less on design of social progression. I want people to use design more as a communication for social progression and awareness.